Plan your journey as you wish and let us select the rental carsforthe best price. Finding and renting luxury cars in Dubai orcheaprental cars in USA is equally easy when you do it ontheSnagout.com rental cars website. Here you can read carsdescriptionand customer’s feedback, see real images and rent a carfor themost moderate price. Snagout.com service is completely free!Nohidden prices or extra charges! You pay only the establishedpricefor the supplier. Always objective SnagOut is not involved inanyadvertising. 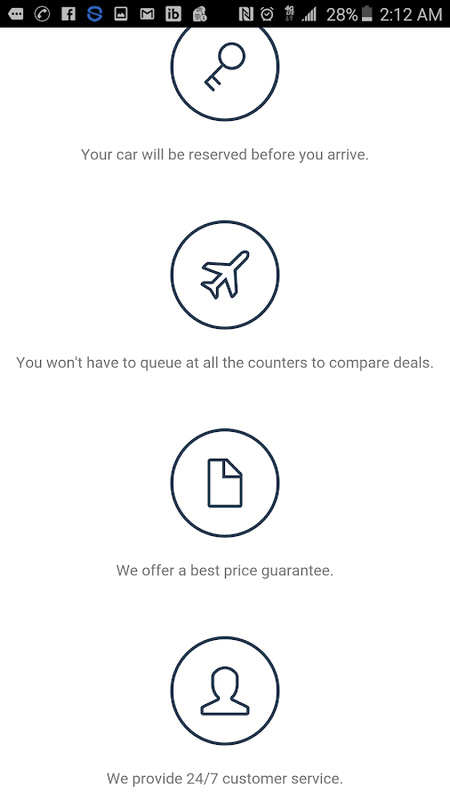 Our task is to find and compare the best offersandleave the choice to you. 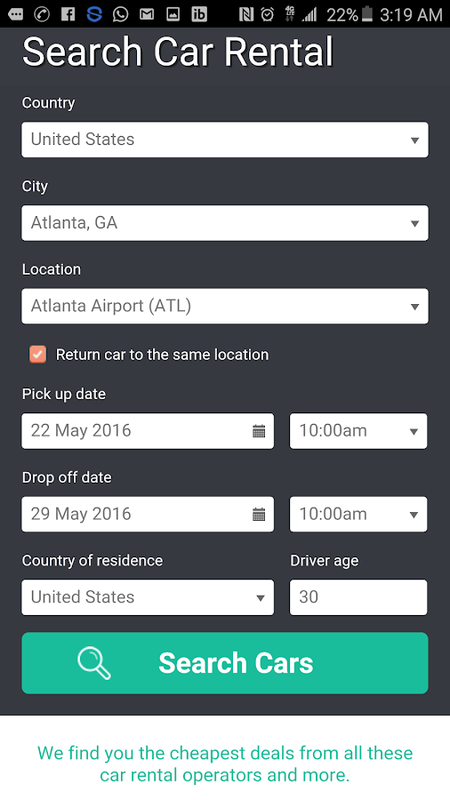 If you look for cheap rental cars , SnagOut will show you thebestoffers for the chosen dates. You will be able to rent a car inoneof USA rental car company just in a few minutes withoutwastingtime on offers that don’t meet your requirements. Over 120,000 direction and over 5 millions offers from all overtheworld on the SnagOut website! 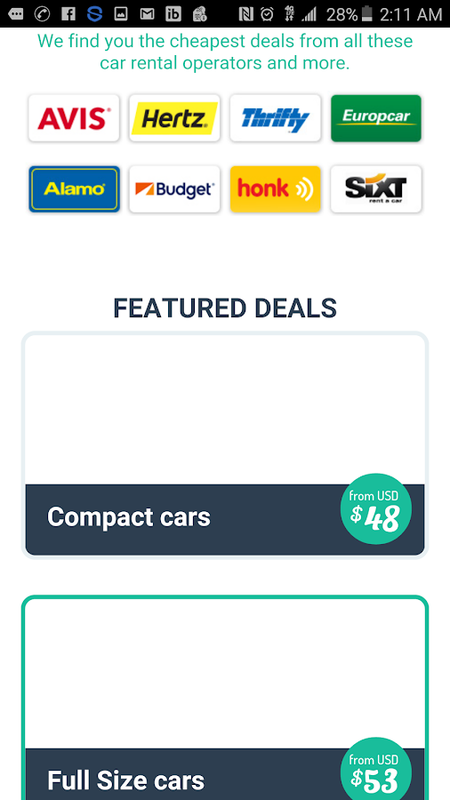 Compare car rental at Snagout CarsGuaranteed best car rental ratesBig range of fuel efficient carsTrusted by 150,000+ rentersDepots across the worldTop rental brandsSnagout Cars: Best Prices For Rental CarsPlan your journey as you wish and let us select the rentalcarsfor the best price. Finding and renting luxury cars in Dubaiorcheap rental cars in USA is equally easy when you do it ontheSnagout.com rental cars website. Here you can read carsdescriptionand customer’s feedback, see real images and rent a carfor themost moderate price. Snagout.com service is completely free!Nohidden prices or extra charges! You pay only the establishedpricefor the supplier. Always objective SnagOut is not involved inanyadvertising. 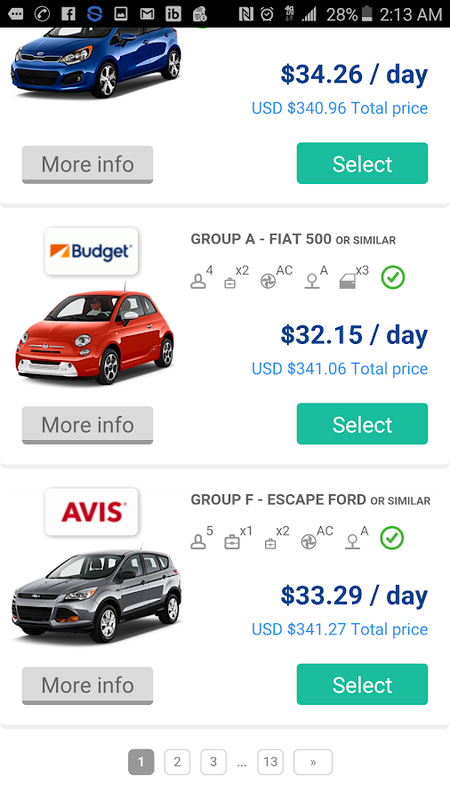 Our task is to find and compare the best offersandleave the choice to you.What You See is What You GetIf you look for cheap rental cars in USA, SnagOut will showyouthe best offers for the chosen dates. 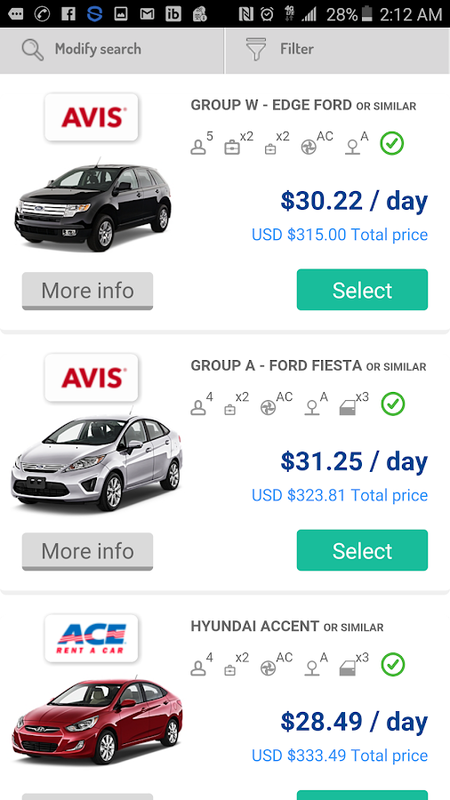 You will be able to rentacar in one of USA rental car company just in a few minuteswithoutwasting time on offers that don’t meet yourrequirements.Compare prices and cut down expensesOver 120,000 direction and over 5 millions offers from alloverthe world on the SnagOut website! Plan your journey as you wish and let usselect hotels and flights for the best price. Finding and bookingluxury hotels in India or cheap hotel rooms in India is equallyeasy when you do it on the SnagOut website. Here you can read hoteldescription and visitors’ feedback, see real images and book a roomfor the most moderate price. SnagOut service is completely free! Nohidden prices or extra charges! You pay only the established pricefor room. Always objective SnagOut is not involved in the hoteladvertising. Our task is to find and compare the best offers andleave the choice to you. 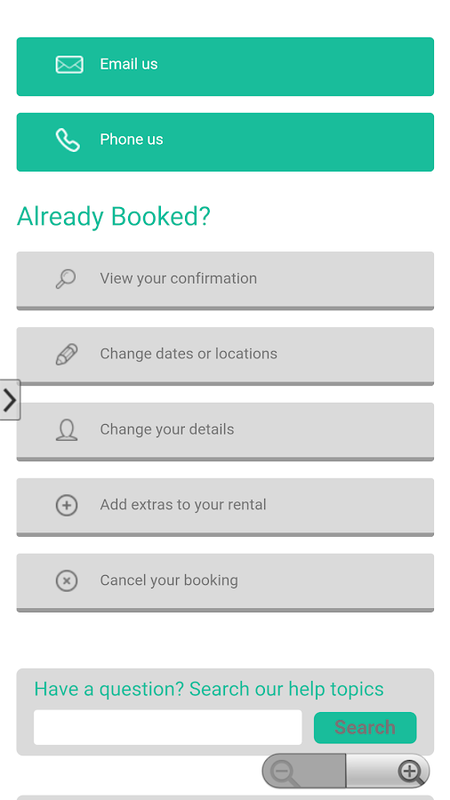 Application Car Rental Multilanguage is veryeasy to use, does not take personally with you for any fee and doesnot strain the annoying advertising. 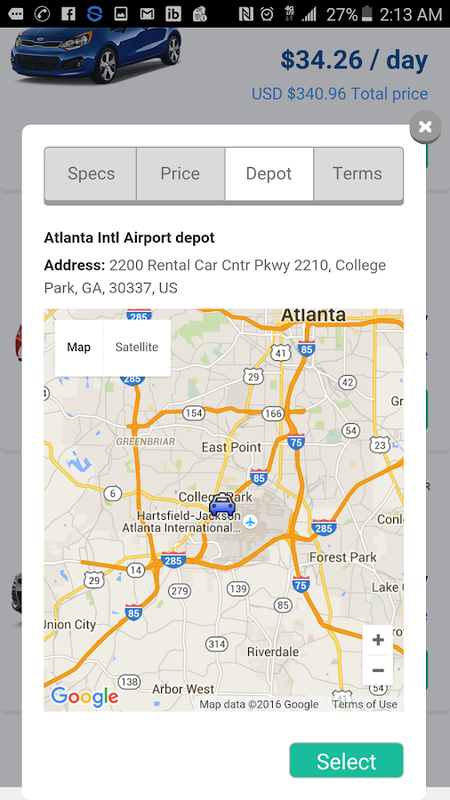 Car rental will allow you tofind a car rental, among 1000 car rental companies around theworld. You can choose to rent a car in more than 20,000 points ofhire in the main airports and other points of transmission cars inmore than 190 countries.The application filters that allow you to make the choice ofvehicle type of vehicle (from small cars to luxury SUVs), locationof the service provider, equipment, insurance and many othernecessary parameters. It is important to remember that on ourwebsite the cancellation is FREE!! !Do you still doubt? Let us briefly recall the advantages of:* Quickly find a lot of offers around the world, as more than 1,000partners among companies car rental in more than 190countries. * Lots of filters to facilitate selection. * Availability of car insurance, life and health. * Cancellations are FREE of charge.See you on the roads! Alamo Rent A Car offers the best car rental offers, such as specialoffers for daily, weekly, weekend rentals, with return in anotherbranch and last minute.